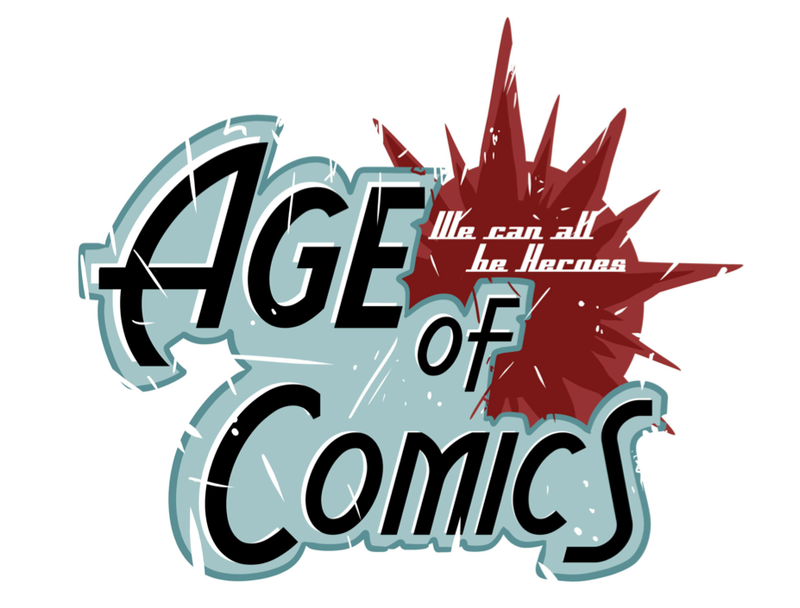 Hey friends we’re going to try doing a trade book of the month for every month starting with October. 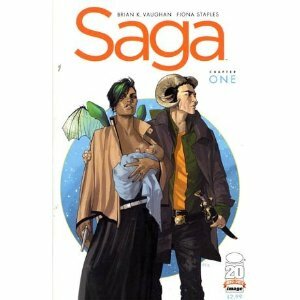 For October our Trade of The Month is Saga. Since issue one ifanboy, IGN, Blair Butler of G4TV, and my most reputable source, Bryan Alvarado of Kaboom Test Labs, has been raving about Saga. He was the one that convinced me to buy it once I found out it was in trade paperback. He also informed me that IMAGE, the publisher of Saga, always makes the volume 1 of a series only $10. As far as trades go that's a steal. But I’m not here to talk to you about economics I'm here to tell you about the epic tale of Saga. Two panels into this book I knew that I was going to love it. Instantly the characters were more likable and relatable than most of the books, shows, or movies that I watch. Someone told me this story was like a galactic alien Romeo and Juliet. To say that doesn’t do it justice. It’s a pitiful explanation as it’s much more than that in so many different ways. Essentially it is about two characters whose races are at war and have been for centuries. They literally just had a baby and are on the run to escape the waring planet they are on. There are a lot people or rather beings that are after them. One of them being a robot prince, another a mercenary spider-lady, not to mention the armies of the goat and winged people. The art and look is a style of its own so unique to the look of this new universe and world. The environments and people are so colorful and vibrant teeming with life and energy. The story and characters are so deep that they still resonate with me as I have an intense care and liking of them. Each character has their own tone, voice, and personality. Brian K. Vaughn has always been great at character piece driven stories but with complete creative control over the writing he absolutely makes you fall in love with these new characters and universe he has created. Saga is utterly genius in so many ways it blows my mind. I'm tempted to switch to issues but I enjoyed the trade so damn much I just might get both. This was without a doubt a BUY. Even if it is only the beginning it definitely got me hooked. I bought this trade at Twin Suns but you could purchase it at Age of Comics as well.